Our firm worked hand in hand with the Denver Landmark Commission to create a restorative design that all could be proud of. This restoration shines as proof of the masterful balance of innovation and reverent preservation provided by Nexus Architecture. 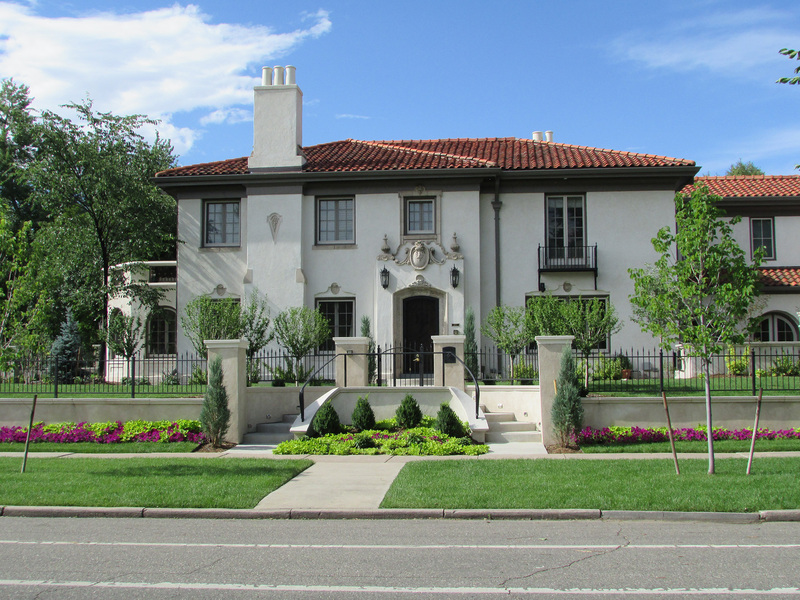 Located in the 7th Avenue parkway historic district, just a block north of cherry creek, this Mediterranean revival is a vision of historical, architectural excellence. Walking distance to the Cherry Creek mall and Congress park, it offers the ultimate in location convenience. The home was expanded from the original size and refurbished to show the true beauty of it's original style. There are several historic motifs still prevalent throughout, including the original masonry, select doors, and original roof tiles preserved on the residence. This historic gem has been redesigned with amazing balance and livability. Despite its historic charm the house was outfitted with cutting edge home automation and high energy efficiency systems for climate control, security, and home entertainment. An elevator serving all three floors was even added ensuring that the occupants have access at an accelerated age and can therefore make this a home for life.